Train 18 fare reduced! 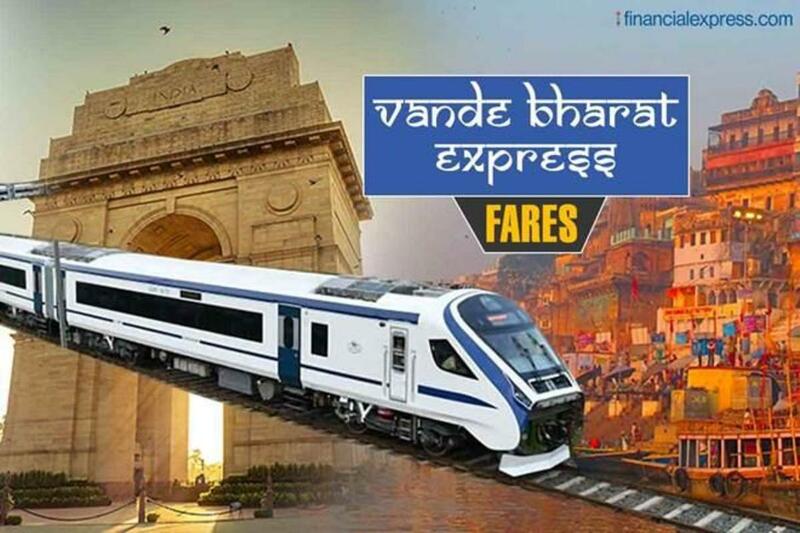 Indian Railways has rationalised the proposed fare chart of the Vande Bharat Express, reducing the ticket price passengers will have to pay to travel on India’s fastest engineless train between Delhi and Varanasi. Passengers will now have to pay Rs 1,760 and Rs 3,310 to travel in AC chair car and Executive Chair car respectively of Vande Bharat Express from Delhi to Varanasi. On the return journey, passengers in AC chair car will have shell out Rs 1,700, while those in Executive Chair car will have to pay Rs 3,260. Earlier, the proposed fare structure as reported by Financial Express Online was; Rs 1,850 and Rs 3,520 for AC Chair Car and Executive Chair car. On the return journey the fare had been proposed at Rs 1,795 and Rs 3,470. 1. Vande Bharat Express fare chart: Below are the details of the fare structure of Vande Bharat Express between various stations on the Delhi to Varanasi route; from Delhi to Kanpur, Delhi to Allahabad etc. The fare includes all applicable charges such as reservation and superfast charges and GST. Indian Railways has included Rs 20 in the total fare for newspaper and packaged drinking water. 2. The basic fare of Vande Bharat Express has been maintained at 1.4 times that of the Shatabdi Express for the AC Chair Car. In case of the Executive class, the fare of Train 18 will be 1.3 times the basic fare of the Executive class of Shatabdi Express. 3. Vande Bharat Express bulk booking: Indian Railways will allow bulk booking on Train 18 as per the existing rules of bulk booking that are also applicable for Mail/Express trains. 4. Vande Bharat Express tatkal quota: Indian Railways will start Train 18 services with a tatkal quota of 5% of the total accommodation of the respective classes. The tatkal fare will include the base fare of the respective class, plus additional tatkal charges which are applicable for the class of coach. The CCMs of zonal railways have been empowered to increase the tatkal quota up to a maximum 30% of the total accommodation based on the demand. 5. Vande Bharat Express fare concession: No concession or child fare will be applicable for Train 18. Indian Railways and IRCTC will issue only full fare adult tickets. However, Indian Railways will allow for passes of MPs, coupons for MLAs, other coupons, Military/para-military warrants etc.